Sorry for the fingerprints. I was TOO excited to swatch! 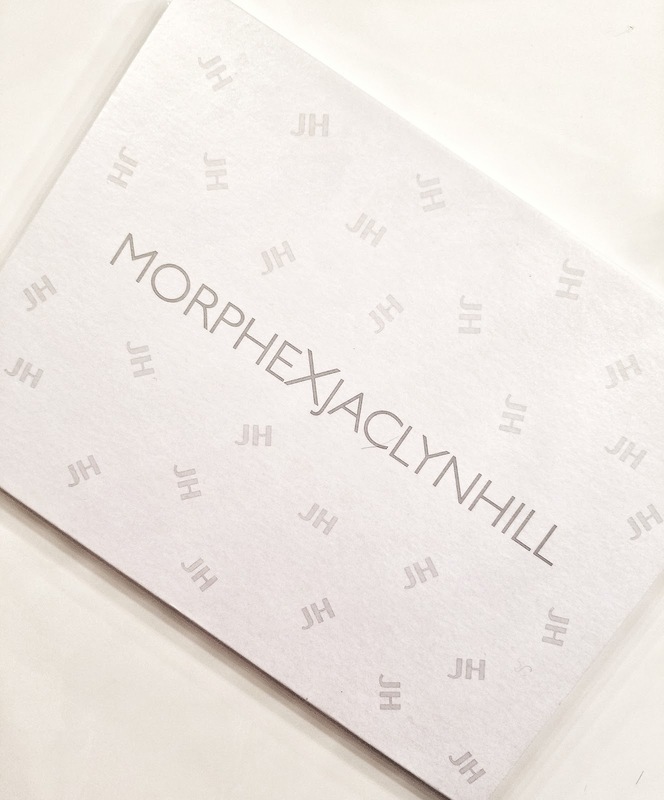 As many of you know, Jaclyn Hill is a YouTube makeup artist who has been doing videos for about 3 to 4 years now. I never really followed her until about a year ago and just fell in love with how she does her makeup. I will admit, she rambles A LOT in her videos so I don't watch them all, but when there is a video about something i'm interesting in, like her bright red hair color or drugstore makeup looks, I like to tune in. 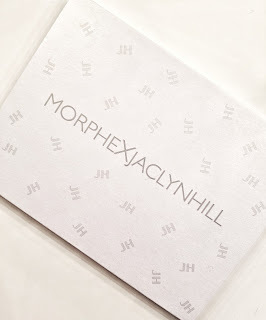 She recently partnered with Morphe Cosmetics and made a palette on her own, with her own color choices, textures, and finishes. The palette went live on Wednesday, June 21, 2017 at 9am MST and I knew I had to get it. There were many reviews showing that the colors didn't transfer well onto brushes and didn't stay on, but I wanted to make my own decision on it. I ended up purchasing it and received it within a week and had to start playing with it as soon as I got it. I started off by swatching it onto my arm and I think I nearly cried from excitement because the colors were SO pigmented. I am absolutely IN LOVE with this palette. The colors are so creamy and smooth. Only one swipe of the color was all that was needed to achieve a full pigment. 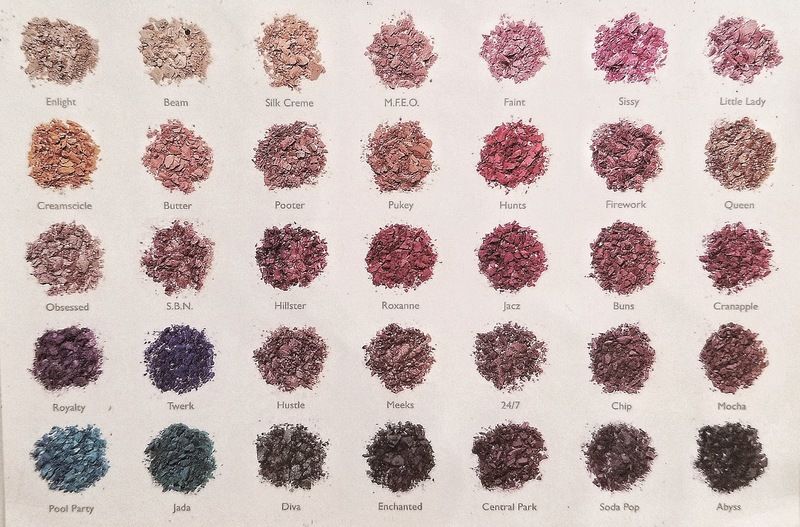 The first one that caught my eye was an aqua blue in the very bottom left corner, called pool party, and it swatched sooo beautifully. I would probably use it under my eye, if I wanted to use it at any point. I saw a YouTube video of a girl that swatched each color with her finger, a dry brush, and then a wet brush, and it came out so bad with the brush on most of the colors that it made me question how it would be with a brush. I took a fluffy brush and picked up some color and applied it to my eyelid and it actually went on so wonderfully and actually stayed. In the video, the girl used a flat synthetic brush and wasn't packing it on, but rather swiping, and I think that's why she didn't get a lot of color onto her lid. I also tried it with a flat synthetic brush and packed it on, and it picked up a lot and stayed on, no problem. For the 4th of July, I decided to use just her palette on my lids to see if it was blendable, pigmented, and long lasting and I can honestly say that it supersedes those requirements. It lasted the entire day and did not come off easily; I had to wipe it off at the end of the day with makeup remover to make sure it was all taken off. My favorite colors to use is Queen, Faint, Beam, Creamsicle, Cranapple, Jacz, Hillster, Central Park, Soda Pop, and Obsessed. I have not gotten all extreme with the colors just yet, but they did swatch beautifully. They are creamy and smooth. Each color is unique in its own way, whether it be the finish or the texture. I am absolutely obsessed with this palette. All the colors and their names. Sorry if it's somewhat blurry. 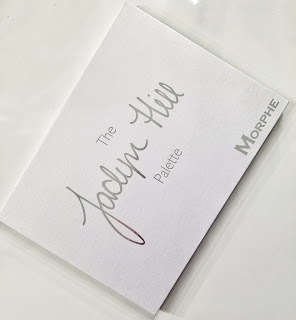 So to those of you that are not sure if you should get this palette or not, my recommendation is a big thumbs up! 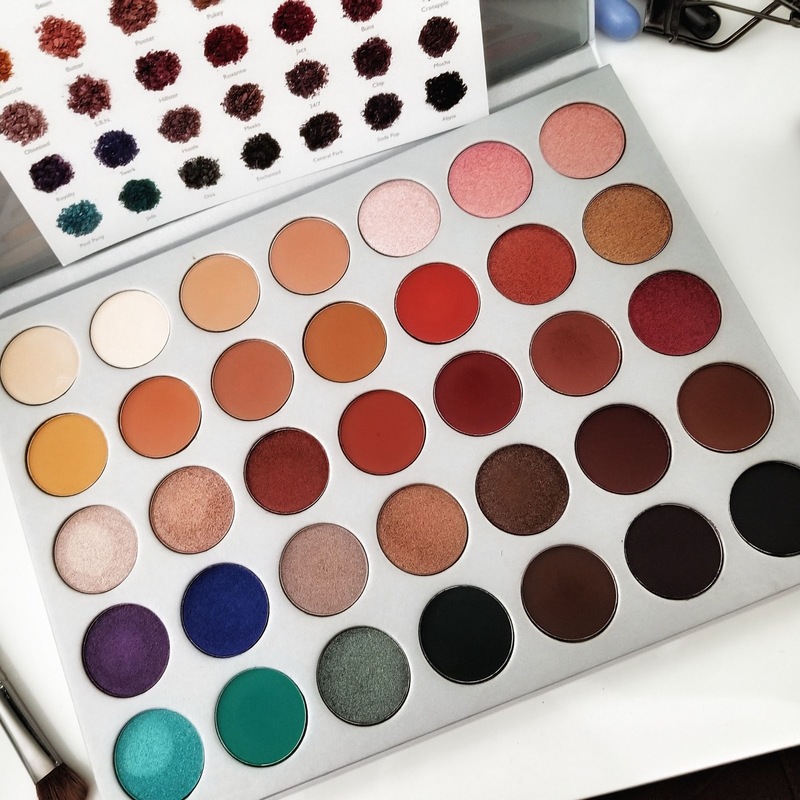 I think it's absolutely gorgeous and I've used it every single day since I bought it, whether it be a full eye look or just 1 or 2 colors. I'm absolutely happy with this palette and I do recommend anybody else that is wanting to get it, to do so. It will be restocking again, this Tuesday, July 18, 2017 at 9am MST. The cost of the palette is $38. I used a coupon code 'JACATTACK' for 10% off and with shipping, the total cost came down to $42.15. 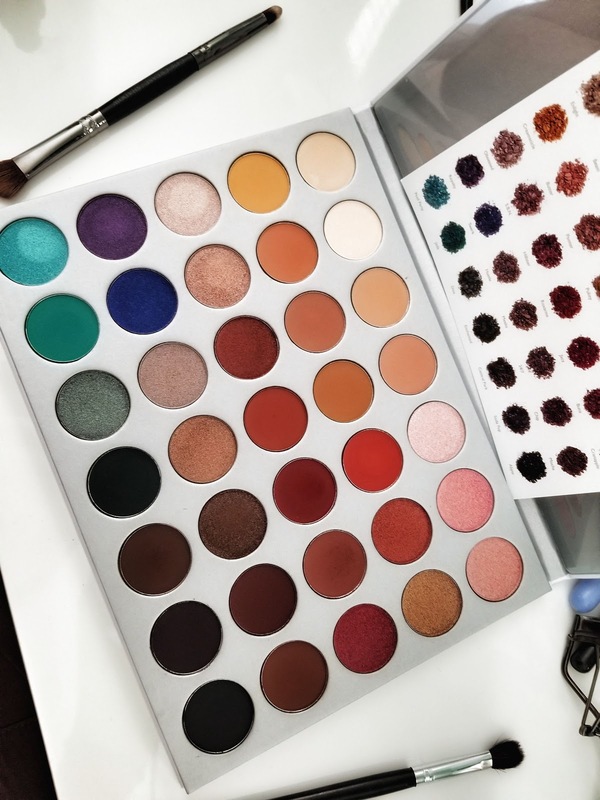 Here is Morphe's page link so you can get yours!